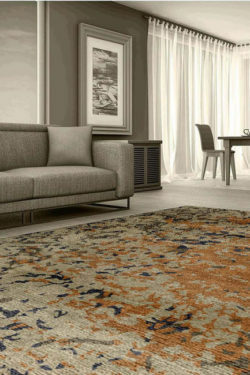 Silk Material: In the market, some people or sellers use artificial silk as pure silk and if you don’t have knowledge about material then you will invest a lot of money on fake silk rug. Pure silk is produced by cocoon larva and exported by China. It is expensive than other natural materials. Silk material is very thin and has very soft touch. It gives a shining look. 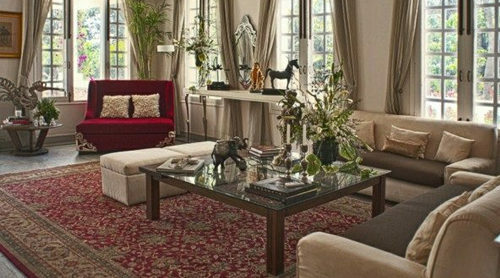 If a carpet is made in silk on silk then it will definitely give a luxurious look to a place. Silk rug is made in two types like silk on silk and silk on cotton. In silk on silk rug, warp and weft both are in pure silk and in silk on cotton, the warp is in cotton and weft is in pure silk. 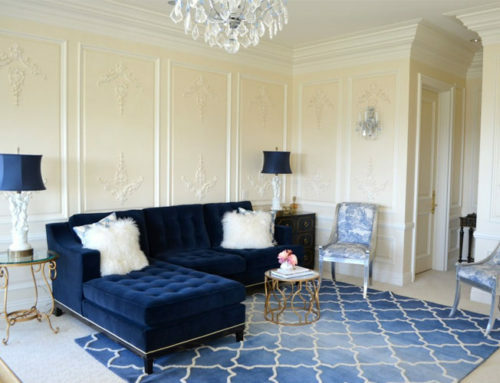 A silk material rug is only suitable for a low traffic area like a guest room, bedroom, and a living room. 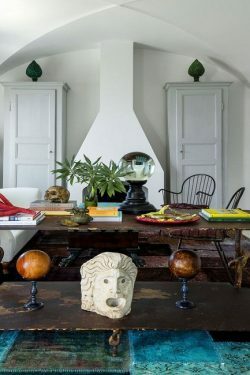 Never use it for a dining room, a hall, or family room. Wool Material: Wool is the most durable and highly lovable material worldwide. It is the first choice of carpet lover. 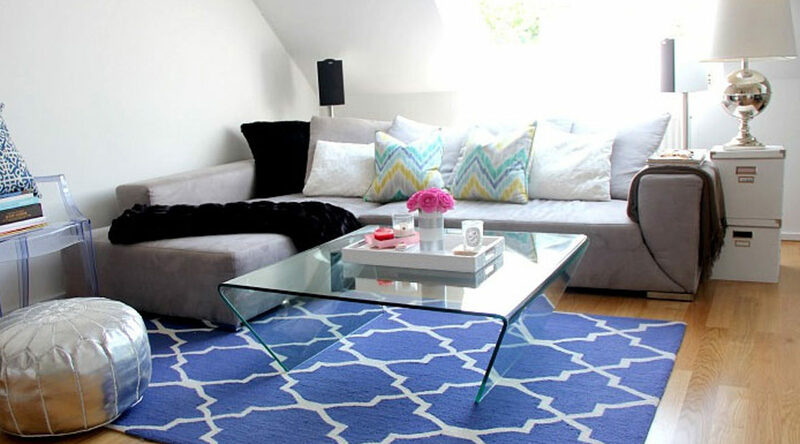 Wool area rug is the most user-friendly material which is cheaper than a silk area rug. It is an extremely versatile material which is easily dyed and easy to weave. The wool Yarn is thicker than silk material and takes less time to weave as compared to silk area rug. Wool is the best one to provide a warm touch to space. 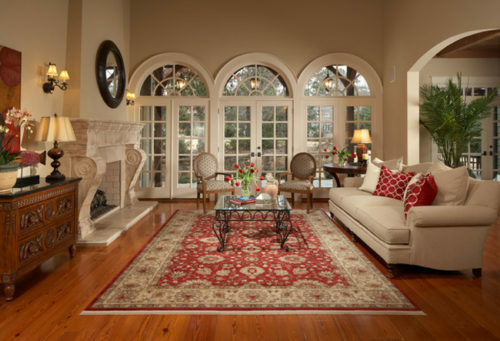 Weaver makes hand knotted and hand tufted both types of rug in wool. So, it doesn’t mean that which type of interior you have. 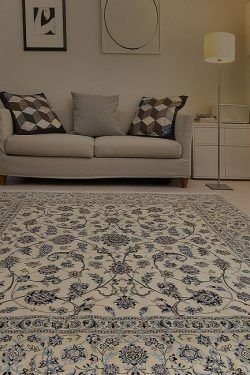 You can buy a modern wool carpet for modern interior and traditional wool carpet for a traditional You can use a wool carpet for indoor and a woolen dhurrie for outdoor. Cotton Material: Cotton material is used for providing strength to the carpet and that’s why it is used as a warp in the carpet. First, weavers make a foundation of cotton material and then use other materials for design as weft. Cotton is used to make a flat-woven dhurrie which is highly durable and thin as compared to the handmade carpet because it doesn’t contains piles and knots. Cotton dhurries are suitable for indoor as well as outdoor because you can use a hard brush to clean it.